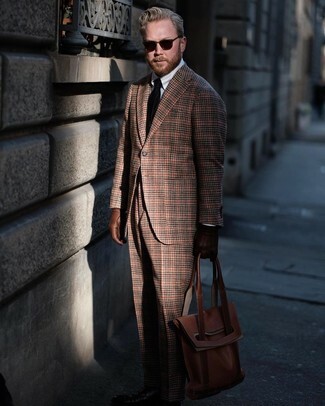 For a nothing less than incredibly stylish look, reach for a brown plaid wool blazer and Brooks Brothers plaid with deco suit trousers from Brooks Brothers. 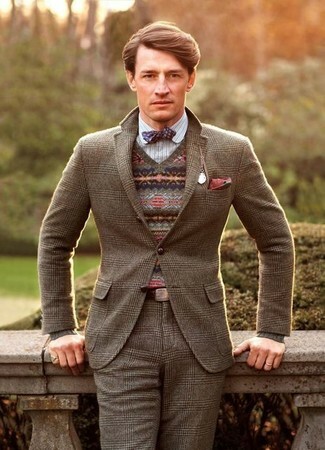 Pair a brown overcoat with Brooks Brothers plaid with deco suit trousers for a classic and refined silhouette. 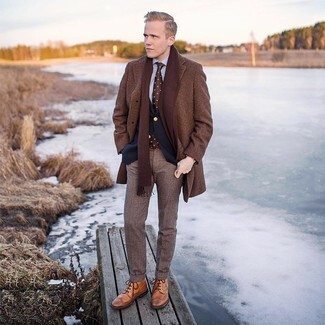 Tan leather brogue boots will contrast beautifully against the rest of the look. 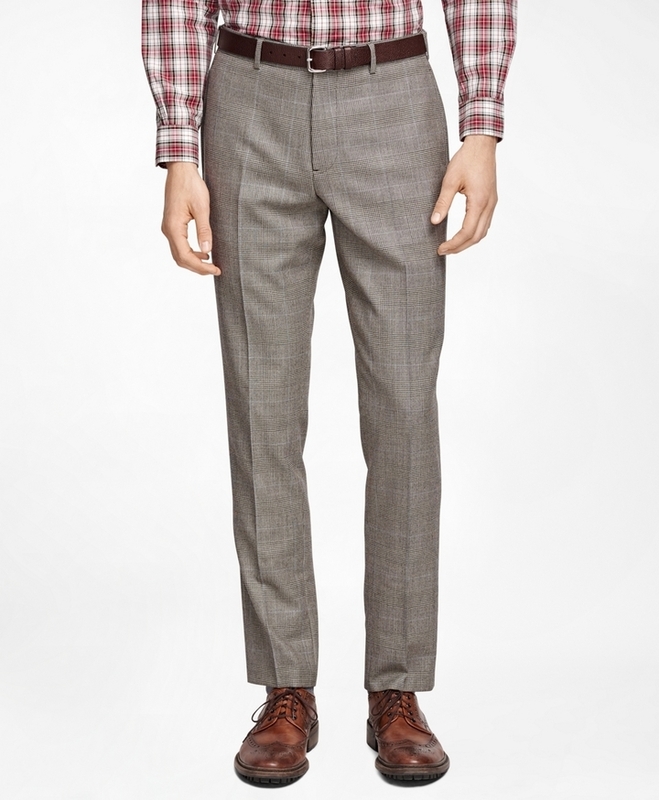 Reach for a dark brown wool blazer and brown plaid wool dress pants for a sharp, fashionable look. You could perhaps get a little creative in the shoe department and elevate your getup with tobacco leather oxford shoes. 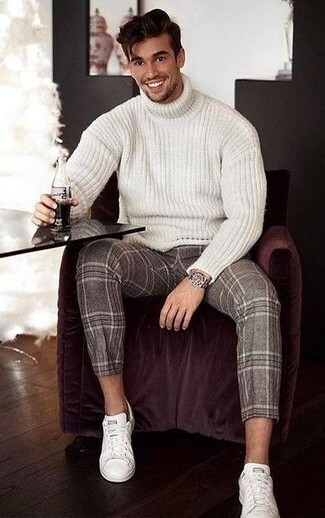 This combination of a white knit wool turtleneck and Brooks Brothers plaid with deco suit trousers is very easy to throw together without a second thought, helping you look on-trend and ready for anything without spending a ton of time combing through your closet. Break up your ensemble with more casual shoes, like this pair of white leather low top sneakers. 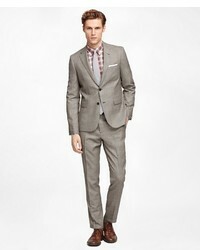 Rock a brown plaid wool blazer with Brooks Brothers plaid with deco suit trousers for a classic and refined silhouette. Amp up the cool of your ensemble by finishing off with tan leather oxford shoes. 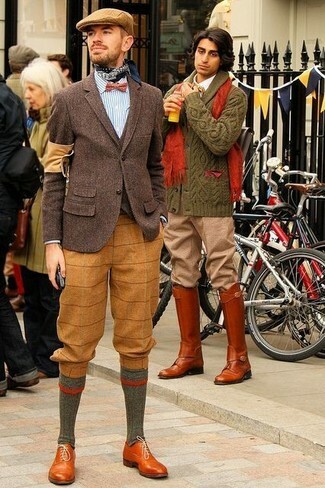 For a nothing less than incredibly stylish look, choose a dark brown overcoat and brown plaid wool dress pants. If you don't want to go all out formal, grab a pair of brown leather brogues. 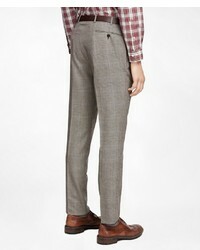 Wear a brown plaid wool blazer with brown plaid wool dress pants for a classic and refined silhouette.